TV ki awaz bnd kr k TL pe comentry parh len zyada mza aega ???? Islamabadians mummy daddy ryt now: Papa aj phla match jeet gae ab bahar jau? Fingers crossed for @TeamQuetta ???? Yes we're the underdogs ???? I'm sure everyone in #Bangladesh is watching #PSLT20 ! Woooooo finally win for my team #IslamabadUnited #PSLT20 ???? 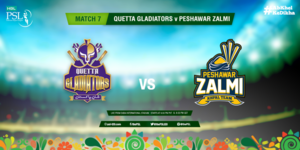 RT AamirLiaquat "Expecting more stars and applause of victories from Quetta Gladiators #PSLT20 #QuettaGladiators "